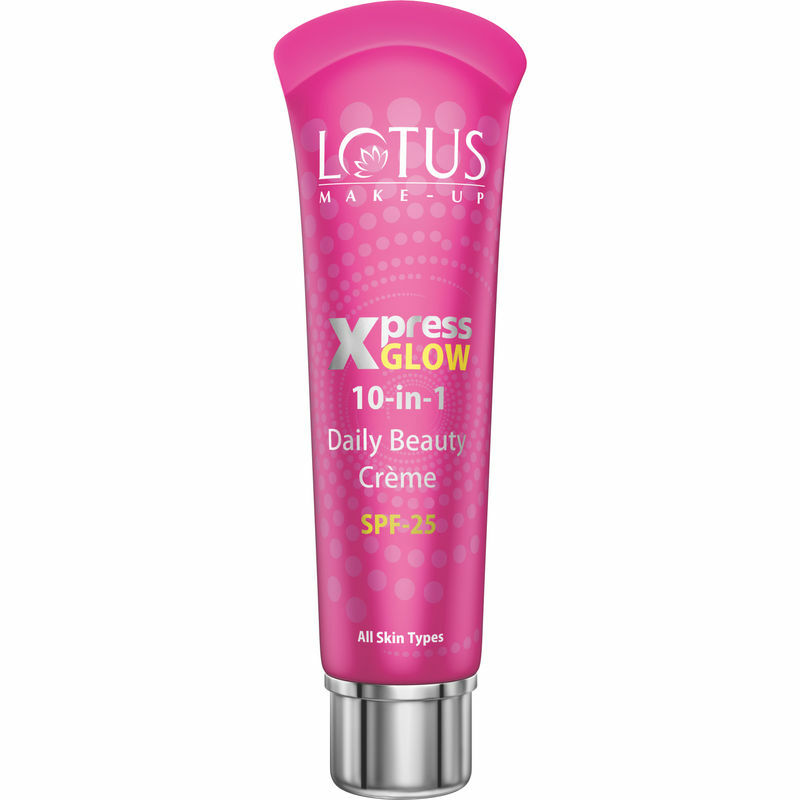 Lotus Make-up developed Xpress glow 10 in 1 Daily Beauty Creme SPF 25 which gives instant glow with skin care benefits. It covers imperfections and dark spots, treats the skin from inside and defends the skin mechanism from outside with instant beautifying results without any heavy make-up look. 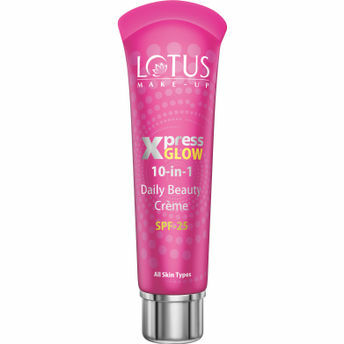 XPRESSGLOW 10 in 1 DAILY BEAUTY Creme SPF-25 is the ultimate hydrating treatment based Creme which gives a semi-matte flawless finish and keeps skin hydrated all day long. Explore the entire range of Face Moisturizer & Day Cream available on Nykaa. Shop more Lotus Herbals products here.You can browse through the complete world of Lotus Herbals Face Moisturizer & Day Cream .